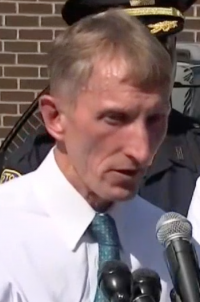 City officials are pushing back against rumors that Boston Police Commissioner William Evans is planning to leave the department to lead Boston College’s police force. Citing unnamed sources, WBZ reported last Thursday that the Evans, who joined the BPD in 1982 and was appointed commissioner in 2014, will step down from his post and accept the BC job. On Friday, Walsh said that he was displeased with the report. While there is always the possibility that Evans is being courted to take other posts, the WBZ piece was unconfirmed, he said. With summer under way, Boston police are preparing for what tends to be a spike in violence in the warmer months. A spokesman for Boston College declined to comment on Monday.